While the eyes of the French poker community were riveted on David Benyamine during the Event 29, the $ 5,000 H.O.R.S.E tournament of the World Series of Poker, the French finished bowing in the 7th position, awarded by a premium of $ 40,000. A priori, it is necessary to wait to find a French player climbing the podium of Rio's poker room. For the moment, North American participants are the most dominant. Besides, two of them have just won a golden bracelet, namely Isaac Hagerling who triumphed at the $ 3,000 NLHE Mixed Max and Jason Duval who won the title of the $ 1,500 NLHE. The seniors' tournament also crowned its winner, in the person of Kenneth Lind. This $ 1,000 buy-in event registered a field record of 4,407 participants, against 4,128 participants last year. The player coming from Utah, 68-year-old, dominated the party and managed to oust Dana Ott during the final duel; a performance which has given him a great bonus of $ 634,809. 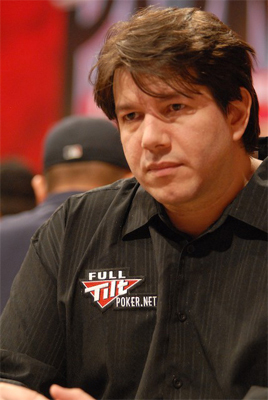 However, Lind has never participated in the WSOP and it was his wife who encouraged him to register. For information, Herman Moonves was the dean of this event. He is 92-year-old. The game is still continuing at the Rio, another poker tournament is in progress. It is about the $ 500 Pot Limit Omaha Hi-Low 8-or-Better, provided with a field of 129 participants.